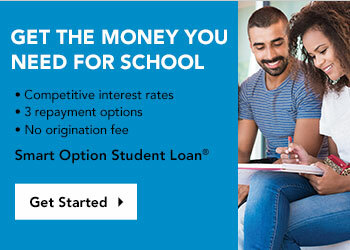 At Stillman Bank, pay for college the smart way with Smart Option® student loans! We offer a three repayment options along with competitive interest rates! The Smart Option Student Loan® for Stillman Bank by Sallie Mae® is for borrowers attending degree-granting institutions. This loan is an ideal solution to help you pay for college expenses not covered by scholarships and federal loans. To learn more or to apply, please get started here.